Set yourself apart with high-quality, impactful signage! Continuing a family tradition of providing meticulous craftsmanship and excellent service. Pillsbury Sign Company is a full-service custom sign company which has been providing consultation, design & manufacturing, installation and maintenance services to the MetroWest area and all of New England since 1969. With the addition of Northern Exposure Sign & Graphics, we have the capability in house to take full projects from concept through design and implementation for everything from large scale monuments to complex wayfinding systems. We welcome the opportunity to work with you and your organization to help achieve the unique look you desire. Whether you have a large project or need a single sign, you can count on Pillsbury Sign to deliver your message with impact; on-time and within budget. Make a long-lasting impression with attractive, durable, and impactful outdoor signs! Pillsbury Sign Company is your full-service exterior signage partner, creating custom storefront signs, monument signs, outdoor banners, yard signs, and more to help you promote your business in a professional and compelling way. Your vehicles are always on the move, so it makes sense to use their visibility to your advantage. Vehicle lettering and vehicle graphics are advertising on the go, targeting the market area you are already working in, and keeping your brand in constant public view. 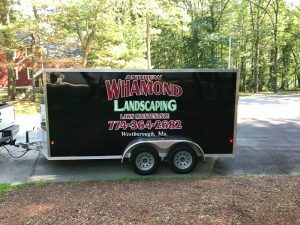 Vehicle lettering will aid you in creating a familiar local business brand that potential clients recognize immediately. Pillsbury Sign Company and Northern Exposure Sign welcome the opportunity to help you with your display requirement of any size or shape. Tell us a little about what you need and we’ll be happy to provide some ideas.